This outing is full with a waitlist. 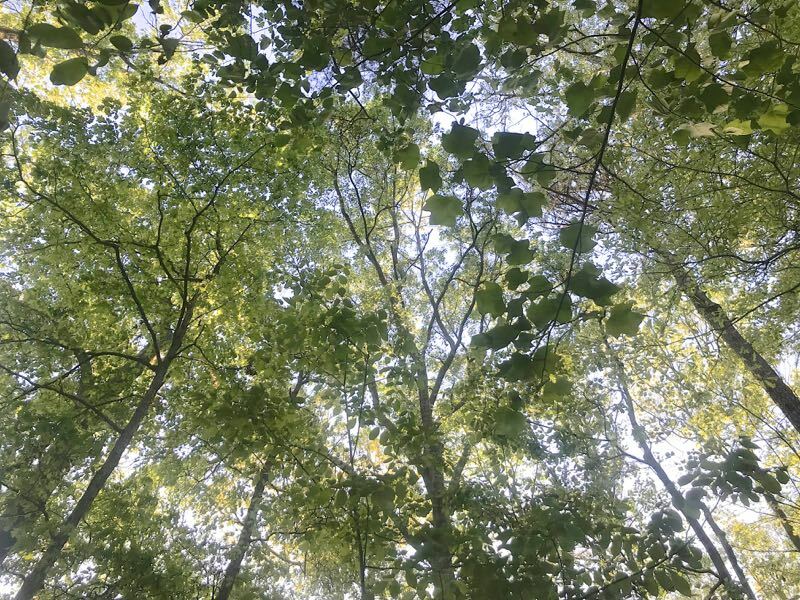 Join us for a very special event hosted by Eco-A Board Member Debra Pearson, at her private forest in Southwest Atlanta’s College Park neighborhood. Debra will share her lemons-to-lemonade story of how a neighbor’s tree-felling tragedy led her to the protection and restoring of her 1-acre forest, which holds an astonishing degree of biodiversity, including many tree species and uncommon native Georgia plants. 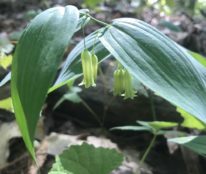 Her backyard forest has been certified as wildlife habitat by the National Wildlife Federation and the Atlanta Audubon Society. 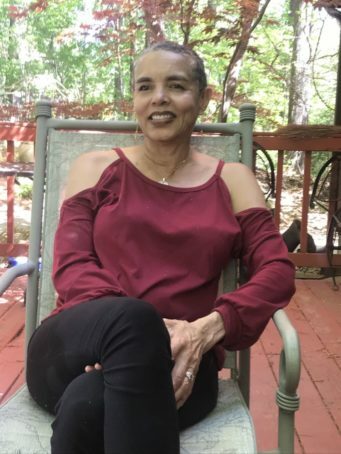 Debra, now retired from a 30-year teaching career with Atlanta Public Schools, has labeled many of her forest’s species, and is creating a learning/teaching forest in her backyard. Though this forest is located in a relatively small area, once you have mastered the unusual diversity of species found here, you will be well on your way to knowing more than just the basics about the native forest ecosystem of our region. We’ll do a short walk along Debra’s forest trails after enjoying a full home-cooked Southern breakfast of no less than — homemade salmon croquettes, scrambled eggs, buttermilk biscuits, grits, OJ, coffee and tea. To register (RSVP) click HERE – details and directions sent to registered participants. 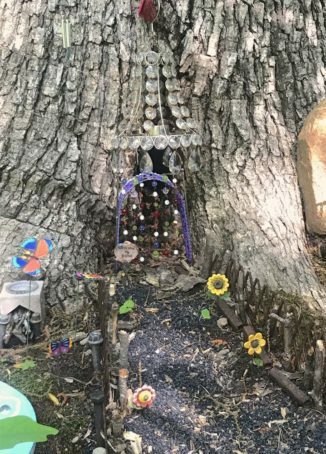 Photos © Kathryn Kolb; top left, Debra Pearson; top right-bottom left, in Debra Pearson’s forest: Solomon’s Seal, various tree species, forest fairy home designed by a neighbor’s child.